Elixir return with another of their ever-popular Restring days! On Thursday 29th November the guys from Elixir will be in store to provide FREE restring setups to customers. 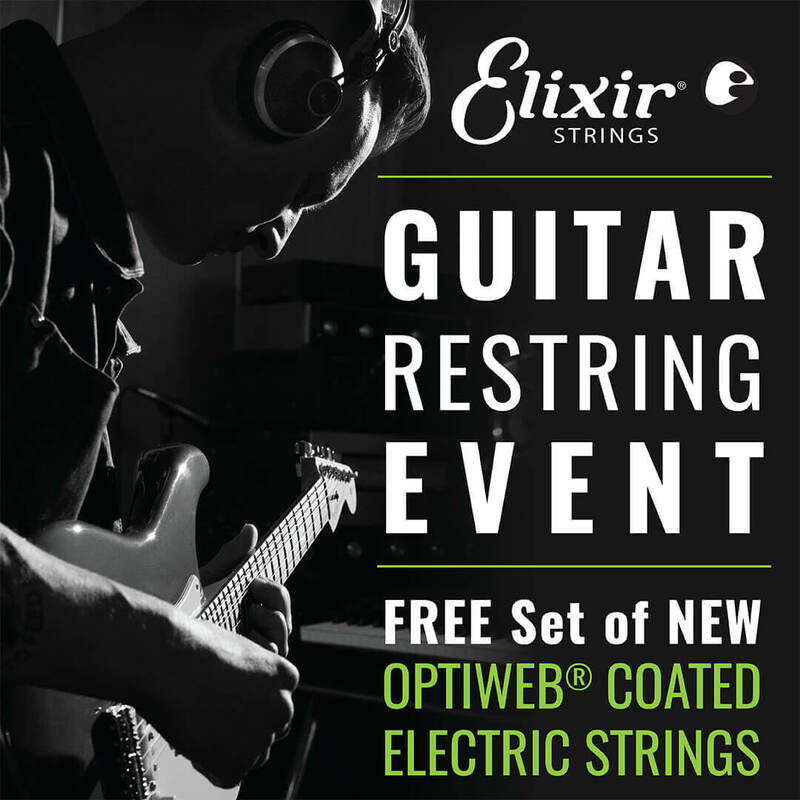 You’ll have your guitar re-strung with a FREE set of Elixir Optiweb Coated strings. These are nickel plated steel strings with an Optiweb coating. This gives you all the performance of a natural string; the crisp tone, natural feel, and a supremely playable grip. This combines with the signature long life of Elixir strings, ensuring your tone remains there for longer! Elixir’s coating technology protects against common corrosion and debris buildup, extending tone life longer than any other brand’s coated or uncoated strings. With less hassle and expense of frequent string changes, spend more time making music!